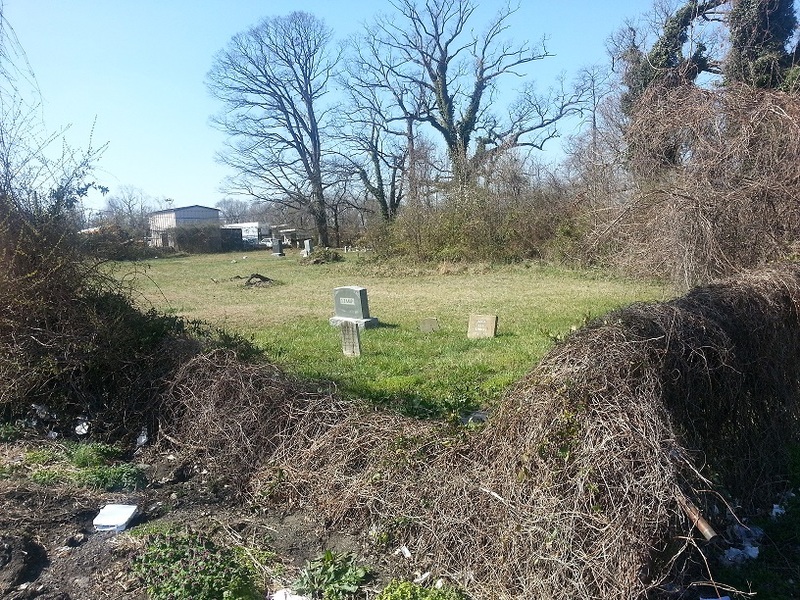 This cemetery is located off Oxon Hill Road, catty corner to Levi’s Barbecue, behind the Post Office. About 10 years ago my husband and I were hanging out with a group of homeless people. We would go to wherever they set up camp and just sit around and drink and talk. When I walked into the cemetery, having just come from a long day at work, I had a weird feeling, and went back to our car. I felt like I wasn’t wanted. My husband went inside and sat down with the others. About half an hour later he came out to the car and said we were going home. He said that a man dressed in a red and black checked lumberjack shirt and bib overalls had asked him why he was there. The man had medium-long hair which was parted in the middle and slicked down. He was clean shaven. He said he asked several of the others who this guy was, but nobody saw him. Nobody of that description belonged to the group. Several of the homeless said they had had experiences there, in particular 2 little girls who were there a lot just wandering. There was a grave with 2 little girl’s names. They died in the same year, and I think the same month. We went back there several times, but he never saw anything else. I just had that feeling that one time. I live in West Virginia now, but I would love to see that location investigated. It had a lot of very old graves. Wish I had a pic for you, but back then I didn’t have a camera. I lived in that area all of my life and there is no cemetery at this location that you described. Here is a photo of the graveyard. This was April 2013. In the background is a PG county bus lot to the left, to the right in the background is the field of John Hanson Jr. High. Further to the right but not in the pic, is the back of the Post Office. According to Oxon Hill History, the graveyard used to be a part of Oxon Hill Methodist Church, which is now located a bit farther down Livingston. The original church burned down decades ago. The space where the post office is now was empty for quite some time. If you look closely, right before the bus buildings, you can see more of the gravestones in the distance. In the foreground under all the growth, is an iron fence. 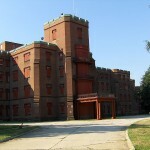 The field of the school is behind the growth in the right background. I remember gym in Junior High, playing softball, and being fascinated by the fact that right behind our outfield were tiny, old headstones.